As this is our final PCN for Term 1, there is a great deal to be thankful for. Our staff and students have been incredibly busy throughout the term in all manner of curricular and cocurricular activities to enrich and strengthen our minds, hearts, bodies and collective spirit. It is time for a rest. A brilliant effort by our community to raise $5,700 for the Amanda Young Foundation. 100+ students and staff creating beautiful music for the Benedictine and broader New Norcia community last weekend. A huge effort by the Music Department! We have hosted visitors from Japan, Malaysia and Singapore in culturally enriching exchanges, with a focus on sharing our best practice across academic, pastoral and cocurricular programs. Many thanks to the Languages Department for coordinating this. Highlighting the importance of physical health and well-being as crucial to mental health and well-being through a range of fun physical activities during the school day. All funds will go to the Activ Foundation for people with disabilities. A new approach to our Secondary School carnival today that will involve all girls as participants rather than spectators; striving for “personal best”. Well done to the PE Department on this initiative! 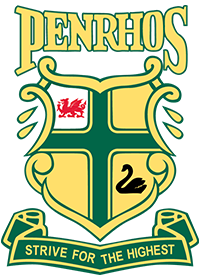 A reminder to our Years 4–12 students that the Penrhos trousers are now available to be ordered from our Uniform Shop. Retirements: Mrs Judith Pilatti, Secondary School Reception and Administration, leaves us after 24 years. Ms Vicki Brimmell, Secondary Learning Enhancement, leaves us after 4 years. Mrs Shelley Farrow, Secondary School Counsellor (Relieving) for Term 1 - can finally retire from Penrhos! Resignations: Ms Amanda Crossley leaves us after 14 years to take up the promotional position of Head of Library at Santa Maria College. Long Service Leave in Term 2: Mrs Nicole Blyth, Secondary Dean Teaching and Learning; Mrs Laura Rutherford Head of HASS Department; Mr Peter Chandler, Maths Mentor; Ms Julie Kenny, Secondary Media and Photography. 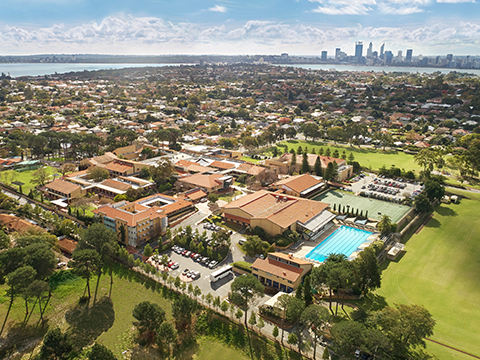 Mrs Tina Russell, Head of Learning Technologies will commence leave in Term 2 for the remainder of 2019. I will also be on Leave from 15 April to 10 May. Mr Rob Taylor will be Acting Principal during this period of time.